Fractals are purely a wonder too irregular for Euclidean geometry; iterative and recursive and seemingly infinite. 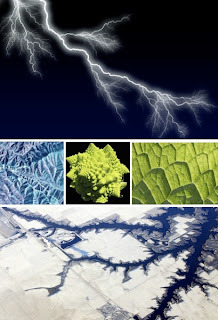 Here are seventeen stunning examples: Amazing Captivating Fractals Found in ours Beautiful Nature.They turn up in food and germs, plants and animals, mountains and water and sky. 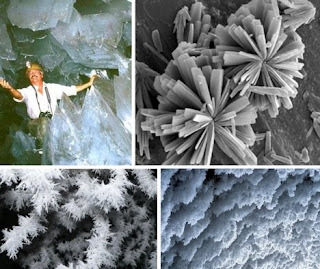 Fractals: they’re famously found in nature and artists have created some incredible renderings as well. 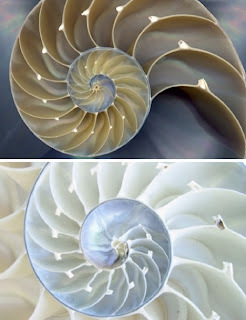 The nautilus is one of the most famous examples of a fractal in nature. The perfect pattern is called a Fibonacci spiral. Lightning’s terrifying power is both awesome and beautiful. 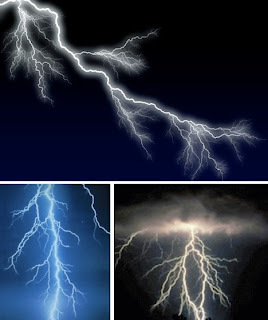 The fractals created by lightning are fascinatingly arbitrary and irregular. 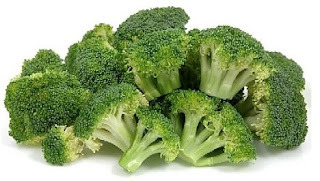 A special type of broccoli, this cruciferous and tasty cousin of the cabbage is a particularly symmetrical fractal. Cook it for your favorite mathematician. The fern is one of many flora that are fractal; it’s an especially good example. 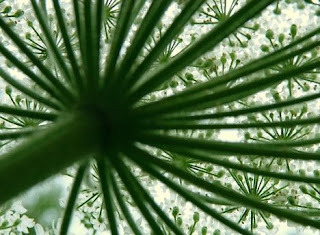 The delicate Queen Anne’s Lace, which is really just wild carrot, is a beautiful example of a floral fractal. Each blossom produces smaller iterative blooms. This particular image was shot from underneath to demonstrate the fractal nature of the plant. 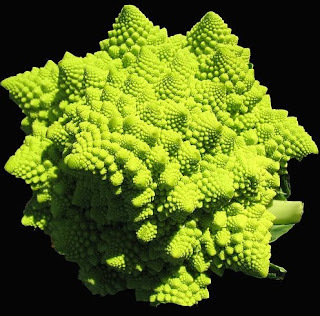 Though not as famously geometric as its relative the Romanescu, broccoli is also a fractal. 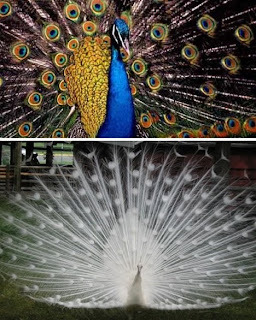 Males of both the white peacock and standard peacock variety are resplendent examples of fractals in the animal kingdom. Trivia: the white peacock is not an albino. 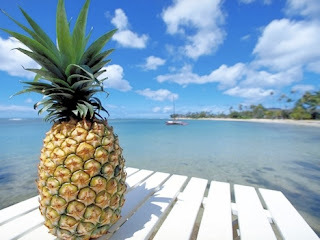 The pineapple is an unusual fruit that is, in fact, a fractal. Though often associated with Hawaii the fruit is a native of southern Brazil. Look outside your window - you may see a fractal cloud at any moment. 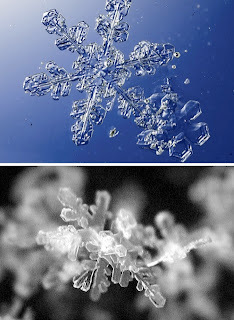 Both chemically-formed crystals and ice and frost crystals are breathtaking examples of fractals in nature. 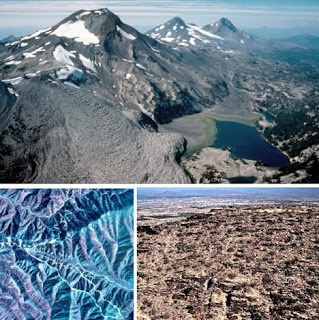 Both shorelines and mountain ranges are considered loosely fractal. These particular examples are beautiful. 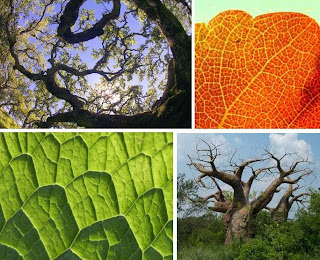 From the macro view of a leaf to the span of a tree’s branches, fractals turn up frequently. 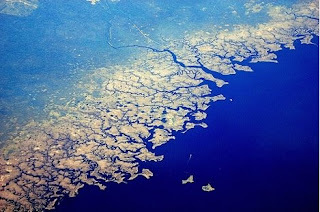 This stunningly complex fractal shoreline is none other than the pan handle of Florida. 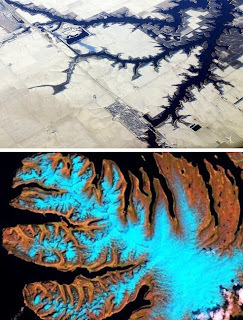 From the mid west of the United States to the icy fjords of Norway, fractals are often viewed by airline passengers - these particular travelers were savvy enough to snap photographs. Sea urchins are compact, almost artistic little creatures; sea stars are more commonly referred to as starfish. 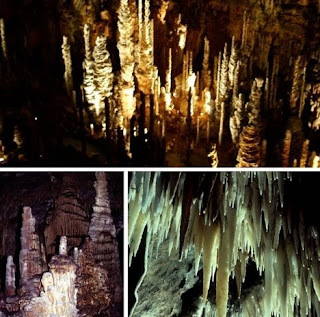 By now you know that stalagmites shoot up from the ground while stalactites form overhead.